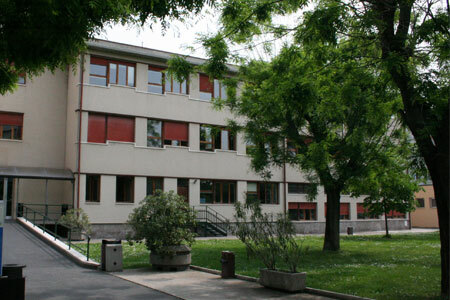 The Anatomy and Histology Section is located on the ground floor of the Biological Institutes, Block B, in Strada Le Grazie 8, 37134 Verona. This Section coordinates the scientific, educational and organizing activities belonging to the scientific disciplinary sectors (SSD) BIO/16 Human anatomy, BIO/17 Histology and M-EDF/02 Sport sciences and methodology. The administration office is open Monday to Friday, from 8.30-14.00; phone: +39 045 8027155 and +39 045 8027173. Research Activity The members of the Section have specific expertise in different fields of the biomedical research: neuroscience, sport sciences, imaging, regenerative medicine, nanomedicine, oncology, behavioral sciences. Most of the research activities are performed in collaboration with institutes of foreign Countries, among which Austria, Belgium, Brazil, Czech Republic, Democratic Republic of Congo, Denmark, France, Germany, Kuwait, Nigeria, Romania, Russia, Slovenia, Spain, Sweden, United Kingdom, United States. 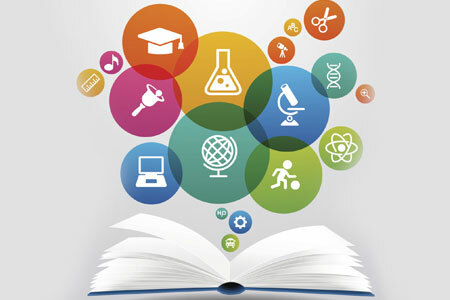 In addition, in the framework of the third mission, several professors and researchers are involved in research projects in collaboration with Companies or non-academic Institutions, or cooperate in actions to promote the scientific and technological transfer between the University and the Society (local communities). Details on the Section’s research projects are available at the links of the Members and the Research Groups. The Section has five Laboratories, equipped with technologically advanced instruments: Anthropometry, Behaviour, Cell Proliferation, Imaging, and Light and Electron Microscopy. Detailed description is available through the link of each laboratory. Teaching Activity The members of the Anatomy and Histology Section teaches courses on Human Anatomy, Histology, Embryology, Anthropometry, Methods and techniques for body composition measurement, Teaching individual and team sports, and Methodology of sport training for the degree courses of the Medicine/Sport Sciences area, and the Schools of Specialists Studies in the Health Area. As a whole, the basic teaching activity aims at giving the students a comprehensive knowledge of the structural organization of the human body at the macroscopic and microscopic level, as well as of the basics of the embryonal and foetal development. The students also receive specific information on applied human anatomy, with special reference to surface and palpatory anatomy, and to the methods used to evaluate anthropometric parameters and body composition. 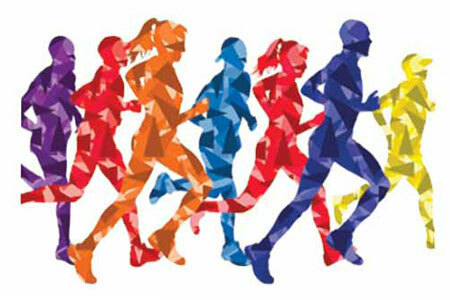 In the curricula for Sport Sciences, the necessary educational and technical knowledge is provided which allows the students to acquire specific professional skill in the different sports. Several among the Section Lecturers are members of the Teaching Board for the PhD programmes in Nanoscience and Advanced Technologies, and in Neuroscience, Psychological and Psychiatric Sciences, and Movement Sciences, and are responsible for training and research activities of the PhD students. The Section members are also involved in developing projects to guide the high-school students in choosing their university course (e.g., Progetto Tandem and Alternanza Scuola-Lavoro), and to orient university students in the labour market, by organizing and monitoring non-university training activities. BIOLOGICAL CHEMISTRY SECTION SSD BIO 10 BIOCHEMISTRY The Biological Chemistry Section is located on the mezzanine floor of the Biological Institutes, Block B; Le Grazie Street, 8. It coordinates scientific, didactic and organizational activities related to the BIO/10 Biochemistry SSD. Section Phone: 045/8027170. Research activity The members of the Section have specific expertise in the study of biochemical and metabolic processes at the molecular level including both structural and functional aspects. This peculiar competences attribute to the Section an important role in the development of scientific and biotechnological knowledge of the molecular basis of the physiological and pathological events, which today represent the essential approach to the study of medicine. The research interests of the Section are primarily addressed to the study of the molecular mechanisms that underlie the establishment and development of various diseases, extending from genetic diseases to inflammatory, neurodegenerative and neoplastic diseases. In addition, particular emphasis has been recently placed on the identification of therapeutic strategies in cell and animal models, potentially transferable to clinicians, of specific diseases that present metabolic alterations. The numerous research projects currently under way can be found in the Research/Research Groups section of the site, and in the profiles of each component of the Biological Chemistry Section. Most of the projects make use of international collaborations with the following research institutes: SPAIN: University of Balearic Islands; University of Murcia; University La Laguna, Tenerife, Canary Islands; Consejo Superior de Investigaciones Científicas (CSIC) Madrid. PORTUGAL: Instituto de Investigação e Inovação em Saúde, Universidade do Porto, Porto. FRANCE: Institut Galien Paris-Sud, UMR CNRS 8612, University of Paris-Sud. GERMANY: University of Oldenburg; University of Dresden. UK: University College London; University of York. JAPAN Showa Pharmaceutical University, Tokyo. U.S.A.: University of Georgia, Athens, Georgia. Didactic activity In the field of didactics, the teaching staff of the Section teaches chemistry, biochemical propaedeutics, bioinformatics and biochemistry in all degree courses of the Medicine/Motor Sciences area and in the Doctorate course in Biomolecular Medicine and Biochemistry of the Schools of Specialization in the Health Care Area. The teaching activity has the ultimate aim of transmitting the biochemical knowledge and the underlying experimental methodologies that form the basis for understanding the cause-effect relationship of physio-pathological events. In particular, Biochemistry teachers have specific knowledge of cell and organ metabolism in physio-pathological conditions. Moreover, the teachers of the Section are strongly involved in the development of projects concerning the insertion of students in the university world, with the typologies of Tandem Project, Minimum Knowledge, School-Work Alternation. The Biology and Genetics Section is located at the first floor of the Biomedical Buildings, Block B, Telephone: 045/8027295. It hosts and coordinates the scientific and teaching activities of Molecular Biology (SSD BIO11), Applied Biology (SSD BIO13), Medical Genetics (MED03) teaching staff. Research activities are organized in several projects including: -Identification of post-translational control mechanisms involved in cell proliferation and in pathogenic processes; Virus-cell interactions in HTLV human retrovirus induced leukaemogenic processes; role of MHC-I complex in the control of HIV induced infection; study of the interactions between HIV-1 Nef protein and human thioesterase ACOT8; -investigations on the molecular bases of Mendelian disorders and on susceptibility genes in complex disorders such as respiratory diseases, cardiovascular diseases and autism; identification of polymorphic variants and of differentially expressed genes in case/control studies; evaluation of the genetic risk in complex diseases; -application of statistical and bioinformatic tools for genome-wide association studies (GWAS), transcriptome, exome and methylome; analysis of data produced by high-throughput platforms in the context of respiratory, bone, and neurological disorders. Laboratories and instruments available in the Section: facilities for cell cultures, nucleic acids manipulation, protein analysis; Nikon Eclipse 80 fluorescence microspore, ABI Prism 310 gene analyzer, Nanodrop spectrophotometer, hardware and software dedicated to complex computational analysis in the mathematical genetics lab; Victor 3PE luminometer/Fluorimeter, Lonza Nucleofector, ChemiDoc-It Imager, UVP, Biorad ELISA reader Biobanks. The B&G section hosts: i) a collection of biological samples of autistic patients supported by a nationwide research project (ITAN foundation, ITalian Autism Network) for clinical, genetic and biological markers of autism; ii) a DNA biobank from an Italian population, representative of the Veneto region, which has been enrolled in a cooperative study on nephropathies; iii) a DNA biobank from phenotypically well characterised subjects to study the role of genes and environment on respiratory diseases (GEIRD project - Gene Environment Interaction in Respiratory Diseases). Genetic counselling. A specialist in Medical Genetics provides preconceptional, prenatal and postnatal counselling for mendelian and chromosomal pathologies; he also collaborates with the Breast Unit of Verona AOUI for oncogenetic counselling in the context of hereditary breast and ovarian cancer. Teaching activities. Molecular Biology, Biology, Genetics, Medical Genetics are taught in several courses of the Medical School and also in Exercise and Sport Science, Biotechnology and Bioinformatics courses. The Section also hosts the PhD course in Applied Life and Health Sciences and the aggregated School of postgraduate specialization in Medical Genetics. Coordinator: Professor Lidia Del Piccolo Members: Dr. Michela Rimondini, Ph.D; Dr. Claudia Goss, MD, PhD; Dr. Cinzia Perlini, Ph.D, Dr. Maria Angela Mazzi, Ph.D, stat.;Dr. Olivia Danzi, Ph.D student; Dr. Isolde Bush, Ph.D student, Dr. Valeria Donisi, Ph.D, post-doc The Section of Clinical Psychology provides care, education and research. Clinical activity consists in individual and family psychological counselling or psychotherapy, provided for patients attending the University Hospital of Verona and for outpatients suffering from various organic diseases. Support and advice is also provided to health professionals working at the University Hospital of Verona. Education and training is provided either for undergraduate students in medicine or in other health professions, post-graduate residents, trainees in psychotherapy and post-graduate Ph.D. students or physicians who attend master courses in risk management and communication skills. The areas of research regard: 1. The development and standardization of instruments to analyse the quality of communication in healthcare setting: Verona Medical Interview Classification System, (VR-MICS) (Saltini et al.1998, Del Piccolo et al.1999; 2005); Verona Psychiatric Interview Classification System, (VR-PICS) (Rimondini et al., 2004); Verona Patient-centred Communication rating Scale, (VR-COPE) (Del Piccolo et al., 2006) ; Verona Coding of Emotional Sequences (VR-CoDES) (Zimmermann et al., 2011; Del Piccolo et al., 2011) 2. Information needs of patients in different medical settings 3. Shared decision making and patient involvement; 4. Risk management & patient safety; 5. Psychophysiological correlates of communication in healthcare; 6. Observational studies and clinical trials. In the Research Quality Assessment Report (VQR 2011-2014) the Section of Clinical Psychology section had 100% of products evaluated as excellent among those presented (final report GEV and ANVUR, http://www.anvur.org/rapporto/), ranking as the first in Italy in the disciplinary area it belongs to (Area 11b). The section of Neuropathology is located on 7th floor of Lotto 1, Policlinico G.B. Rossi, Piazzale L.A. Scuro, 10, Verona. Secretary’s office is opened to public from Monday to Friday from 9 am to 1 pm (phone contact: 045-8124768). Specific fields of interest and expertise include: Neurodegenerative and genetic dementias (Dr. Zanusso, Prof. Fabrizi); sporadic, familial and acquired human prion disorders (Dr. G. Zanusso); rapidly progressive dementias (Dr. G. Zanusso); paraneoplastic syndromes (Dr. F. Fenzi); genetic cerebrovascular disorders (Prof. G. Fabrizi); inherited and dysimmune neuropathies and other neuropathies associated to systemic disorders (Prof. G. Fabrizi); motor neuron disease (Dr. F. Fenzi). La Sezione di Neurochirurgia ha Sede presso l’Ospedale di Borgo Trento – Polo Chirurgico “P. Confortini”,– P.Stefani 1 - 37124 Verona. Orario: dal lunedì al venerdì dalle 8.00 alle ore 13.00. La Sezione è costituita da personale universitario ed ospedaliero ed è la sede della Scuola di Specializzazione in Neurochirurgia, diretta dal Prof. Francesco Sala. Si avvale inoltre della collaborazione di borsisti, tecnici e dottorandi di ricerca. Alla Sezione afferiscono le U.O.C. di Neurochirurgia B e le U.S.O. di Neurochirurgia Vascolare, Neurochirurgia Pediatrica e Radiochirurgia Stereotassica (Gamma Knife). L’attività clinico-chirurgica copre tutti i settori delle Neurochirurgia con specifiche competenze in particolare nell’ambito della neurochirurgia oncologica, vascolare, spinale e pediatrica. Il centro di Radiochirurgia Stereotassica è tra i più attivi in Europa ed ha recentemente esteso l’attività anche all’ High Intensity Focused Ultrasound (HIFU).
) 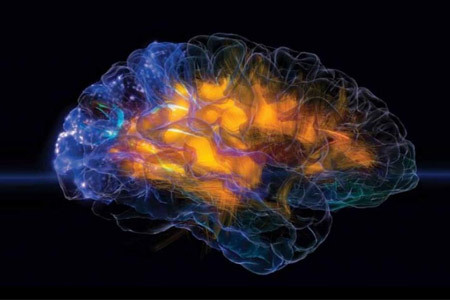 le tecniche di biopsia liquida per il monitoraggio dei gliomi cerebrali; f) l’utilizzo dell’HIFU nel trattamento di alcune patologie di interesse neurologico, come il tremore essenziale. L’attività didattica è svolta presso il Corso di Laurea magistrale a ciclo unico in Medicina e chirurgia, il Corso di Laurea in Fisioterapia, la Scuola di Dottorato in Neuroscienze, Scienze Psicologiche e Psichiatriche, e Scienze del Movimento, le Scuole di Specializzazione in Ortopedia, Oftalmologia, Neurologia, Neuropsichiatria Infantile, Chirurgia Pediatrica e Chirurgia Plastica. Le Sezione ospita periodicamente medici, ricercatori, tecnici di provenienza sia nazionale che internazionale per periodi di formazione nell’ambito della neurofisiologia intraoperatoria. Esame delle fibre nervose (GDX Vcc), Servizio di Perimetria (Humphrey, Octopus, FDT), Ecografia oculare e Biomicroscopia ad ultrasuoni (UBM), Topografia e, Pachimetria Corneale, Servizio di Ortottica, Ambulatorio di Pronto Soccorso Oculistico. Inoltre svolge attivita' di ricerca clinica nell'ambito del trattamento medico/chirurgico delle patologie corneali, della patologia glaucomatosa e delle patologie retiniche. La Sezione di Fisiologia e Psicologia è ubicata ai piani primo e secondo degli Istituti Biologici, Blocco A, Strada Le Grazie, 8, 37134 Verona. La Segreteria della Sezione, al secondo piano, è aperta dal lunedì al venerdì con orario 9:00 - 13:00. Tel. 045/8027144. Le attività di ricerca si svolgono negli ambiti delle Neuroscienze Cognitive, la Neurofisiologia cellulare e la Neurobiologia. Nell’ambito delle Neuroscienze Cognitive, vengono studiati i meccanismi neurocognitivi della percezione, della coscienze, dell’attenzione e del controllo motorio, in modelli sperimentali diversi nell’Uomo e nell’animale) e attraverso varie tecniche (psicofisica, analisi comportamentale, movimenti oculari, registrazioni EEG/ERP, TMS, fMRI, fNIRS, studio di pazienti cerebrolesi, registrazioni di singoli neuroni dal cervello di scimmia). Negli ambiti della Neurofisiologia cellulare e Neurobiologia, vengono investigate principalmente il ruolo dell’attività nervosa nel processo di competizione e di eliminazione delle sinapsi nel sistema nervoso periferico e centrale, come pure i meccanismi funzionali, molecolari e cellulari alla base della plasticità del sistema nervoso in condizioni fisiologiche e patologiche (malattia di Alzheimer e autismo). A tal fine vengono utilizzate tecniche di imaging (microscopia confocale e a due fotoni) e di elettrofisiologia (patch clamp, registrazioni extracellulari e intracellulari) in modelli animali in vivo ed in vitro. I docenti della Sezione tengono insegnamenti nell’ambito della Fisiologia e della Psicologia in Corsi di Laurea in Medicina, Odontoiatria, Professioni Sanitarie, Biotecnologie, Bioinformatica, e Scienze della Formazione Primaria. Svolgono inoltre attività didattica nel Corso di Dottorato in Neuroscienze, Scienze Psicologiche e Psichiatriche e Scienze del Movimento e nelle Scuole di Specializzazione di Area Sanitaria.